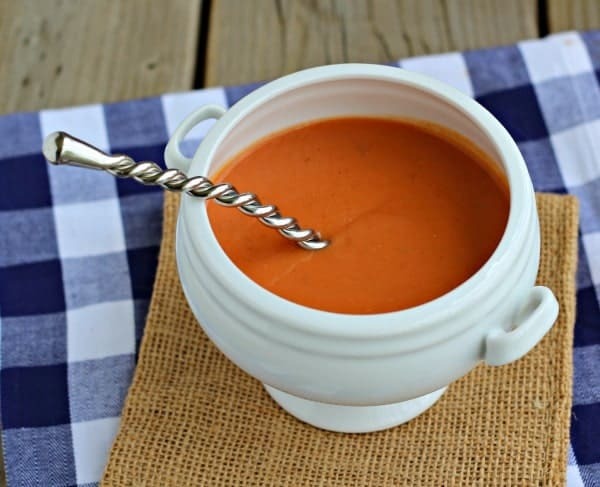 This tomato soup is creamy and full of protein thanks to the addition of white beans. 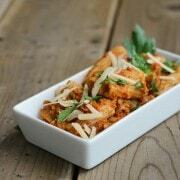 Filling and healthy, a perfect option for lunch or dinner. Vegan option also available! Remember that one time when my little man, N, slept in until 7:30? And I mentioned that I hoped it wasn’t a fluke? Not only did he wake up at 5 today, but he was also awake pretty much from 11-2. So I slept from 2-5. Awesomeness, right? I was sitting there, rocking him in the pitch black living room. Enjoying the cuddles, yes. Thinking to myself, wow I am so blessed to be holding this precious little miracle. But let’s get real, momma needs her sleep. Will someone please send my little ball of energy the memo that sleeping is pretty much the cat’s meow? That all the cool kids are doing it? That it’s going to help him grow into a tall, strong, basketball player? 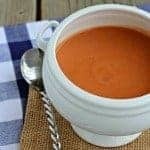 So this tomato soup is really great because it doesn’t require much hands on time, it’s healthy, and it is filling thanks to the secret addition of pureed white beans. 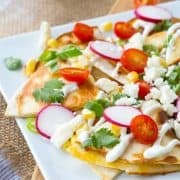 They help to give it a creamy texture but also pack it full of protein. If you’re vegan, use a dairy free milk in this recipe to make it vegan! I used skim because it’s how I roll and what I had in the fridge. I used my Blendtec blender but an immersion blender would also work great. And…with that…there is a baby to be rocked. Looks like it is going to be another long night. Someone have that chat with my little man asap, please. In a large saucepan over medium heat, saute the onions in the olive oil for about 7 minutes or until soft and translucent. Add the garlic and herbs and continue to cook for about 2 minutes or until fragrant. Add all ingredients to a blender (or put it all in the saucepan and use an immersion blender) and blend until smooth. Heat for 15-20 minutes over medium low heat or until heated through. Verdict: Loved this filling and creamy soup. Husband’s take: I don’t think he even tried this! I made it one night when he was working late. Thanks for the soup recipe! I had some issues with it as the tinned tomatoes didn’t require any cooking (just warming at the end of the recipe). So the soup tasted a lot like the inside of the tin! The second time I made it, I added all the ingredients (except the milk) to the pot instead of the blender. Then added some chicken stock for more flavor and simmeredsimmered for 30 mins. This variation was much better and didn’t taste like the tin. So excited to try this recipe!! I’m wondering if the herbs in there are dried or fresh. My guess would be that the marjoram and thyme are dried and the crushed rosemary is fresh…but I wanted to be sure for measurements sake! 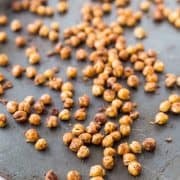 I used all dried herbs in this recipe. :) I’ll clarify that in the recipe too – thanks for asking! Wonderful addition of beans to make this more hearty and filling – the perfect winter soup! so, would the vegan option be non-dairy milk? if so, what kind works best? Yes! Sorry — I believe the original (vegan) recipe recommended almond milk. I hope you get some sleep soon, mama! At least you have this soup to hunker down with…it looks wonderful! 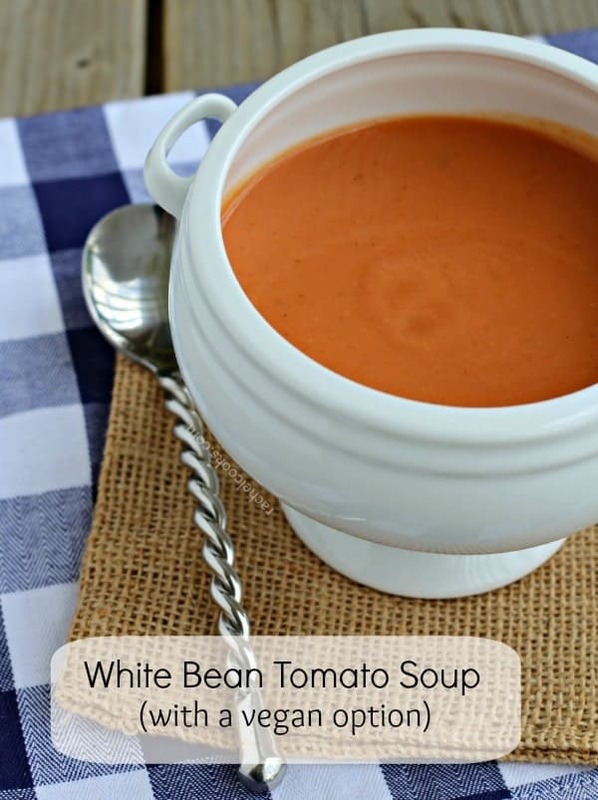 I’m a lover of all tomato soups and I love that this one has beans in it! Oh no! I hope the sleeping gets better-nothing can make someone more crazed than no sleep! I love the addition of the white beans here-yum! I love white beans! Especially with tomato anything. This looks wonderful, love it Rachel. Totally my kind of soup :) Hope you got to sleep a bit more!! Oh poor thing! I’m a zombie without enough sleep but I’m sure he’ll pull through and everyone will be back to normal again soon. This soup looks so comforting and delicious! Enjoy the cuddles…this too shall pass. I’ll have to try this soup! Hope the little man sleeps more for you soon!